According to Google’s latest Platform Distribution numbers for December 2015, Android 6.0 Marshmallow is only running on .5% of Android devices, just a small blip on the radar. For the vast majority of Android users in the world — those that don’t own Nexus devices — the wait for Android 6.0 Marshmallow is an excruciating one. We know it’s coming. Most of the bigger name manufacturers have already committed to bringing the latest OS update to their older flagship devices. It’s just the waiting — and not knowing when to expect it — that’s the hard part. 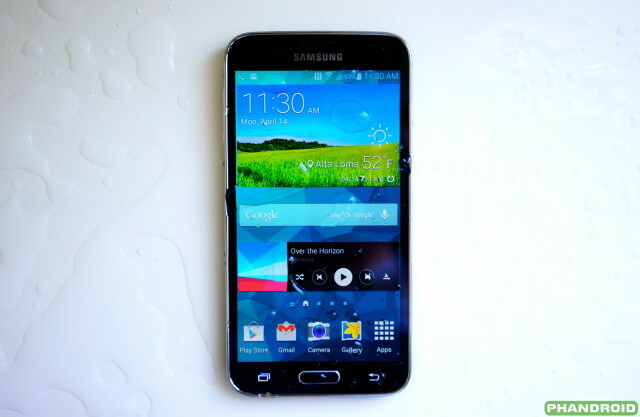 For Samsung Galaxy S5 owners, a leaked roadmap showed the update was still “awaiting approval” with no ETA in sight. But one lucky Galaxy S5 owner seems to have received the update a tad bit early, with Android 6.0.1 Marshmallow already up and running on his device. It’s unclear if he received this update over-the-air, in which case it would be a pretty big mishap on Samsung’s part, or he simply flashed a leaked build meant for another Samsung device. In either case, don’t expect this rolling out to your handset anytime soon, especially if you live in the US where software updates face the usual carrier approval process. Last week we told you guys about Samsung’s early software program where they gave a few lucky users the chance to test out the new Marshmallow update (in beta form) on the Samsung Galaxy S6 and Galaxy S6 Edge in the UK and South Korea. The test period for the beta ends January 18th, so don’t expect a rollout until sometime after that date at the very least.